Tune into a special, Super Bowl edition of Double Dare, featuring your favorite NFL players and LOTS of slime! It’s finally the weekend of the Big Game, and there is no shortage of entertainment both in the home and out to fill your time. If you and your kiddos are choosing to spend the chilly (understatement?) weekend inside, fire up your Contour box and tune into a special Super Bowl themed edition of Nickelodeon’s Double Dare. 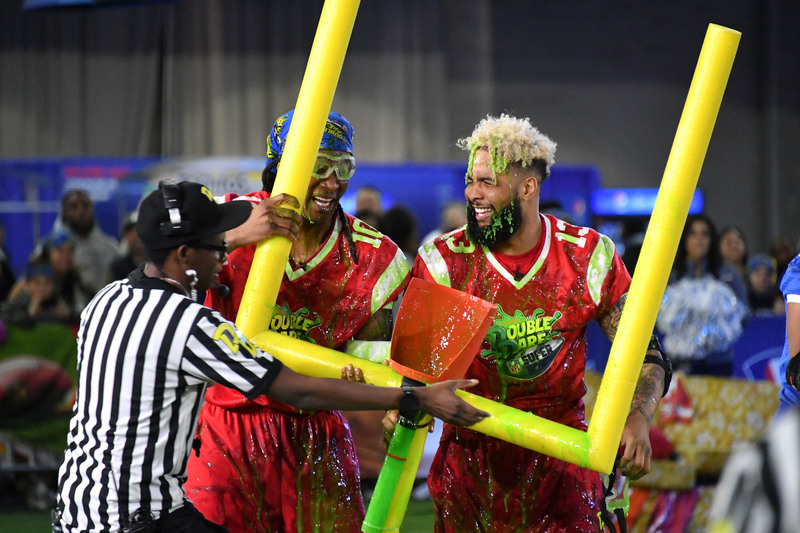 Nickelodeon and the NFL teamed up to get kids and families pumped up for the big game, with Double Dare at Super Bowl, a brand-new episode of the slime-filled game show, premiering Sunday, February 3 at 12 p.m. ET, simulcast across Nickelodeon, Nicktoons and TeenNick. 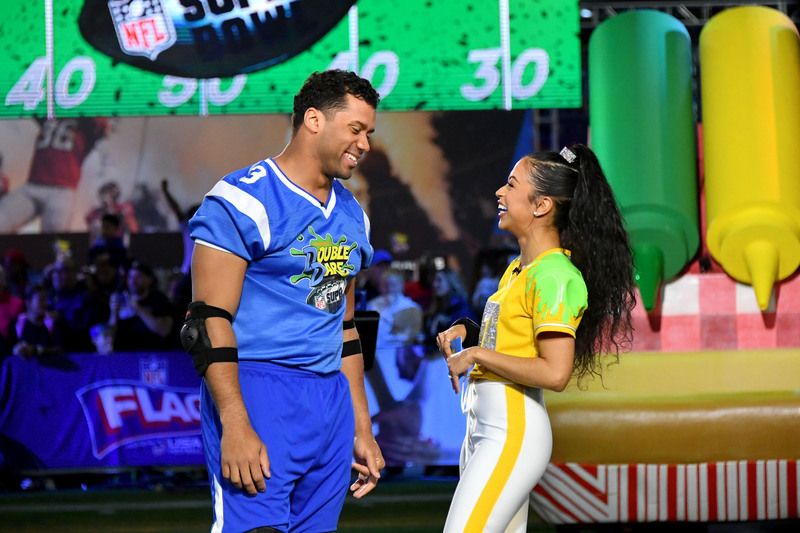 Hosted by the hilarious and loveable Liza Koshy and featuring Marc Summers, Double Dare at Super Bowl is full of hilarious physical challenges and unexpected obstacles, making it one of the messiest game shows on TV! Plus, this special episode features some of the best NFL players in the game. 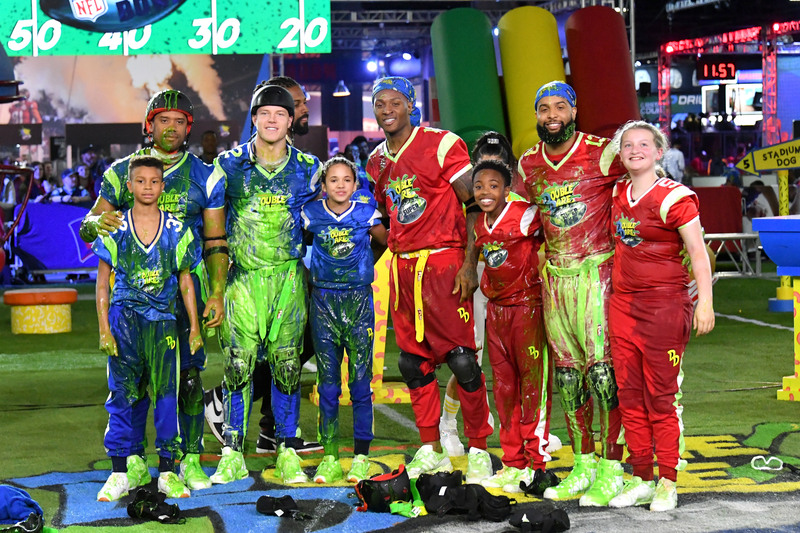 The teams will include NFL stars Russell Wilson, DeAndre Hopkins, Odell Beckham Jr. and Christian McCaffrey, as well as Nickelodeon stars Scarlet Spencer and Dallas Dupree Young from Cousins for Life. In addition to bragging rights, each team will be competing for a $10,000 donation to one of Nickelodeon and the NFL’s pro-social partners, PLAYWORKS and Special Olympics, respectively. PLAYWORKS is the leading national nonprofit leveraging the power of play to improve children’s social and emotional health by increasing opportunities for physical activity at schools. Special Olympics provides year-round sports training and athletic competition in a variety of Olympic-type sports for children and adults with intellectual disabilities, giving them continuing opportunities to develop physical fitness, demonstrate courage, experience joy and participate in a sharing of gifts, skills and friendship with their families, other Special Olympics athletes and the community. Who will come out on top? Don’t forget to tune in to Nickelodeon, Nicktoons or TeenNick on Sunday, February 3 at 12 p.m. ET to find out! New to the world of Double Dare? It’s not too late to catch up! You can check out past episodes on Cox On Demand by speaking "Double Dare" into your Cox Voice Remote.